Chinatown. It’s a relatively poor district as San Francisco neighborhoods go. It’s crowded, one of the most densely populated urban districts in America, made even more so by the influx of tourists year round. 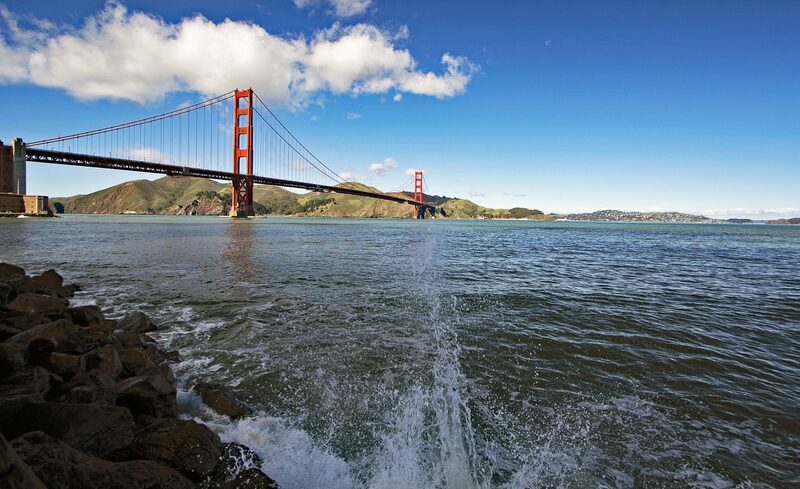 It’s popularity as an attraction exceeds that of the Golden Gate Bridge yet it’s often more maligned than the bridge. It is the largest and the oldest of the Chinatown’s in North America. My earliest, real vivid memory of Chinatown springs from a harebrained trip to see the Chinese New Year Parade that nearly resulted in a case of pneumonia. The parade takes place every February and since it’s based on the first day of the Chinese Lunar New Year which fluctuates from year to year the date of the parade varies as well. It’s my belief and one shared by many locals that the parade date is deviously timed to coincide with a monsoonal rainstorm. That or the weather deities are just being obnoxious. I was a boy, six or seven I guess, when mom and dad floated the notion of attending the Chinese New Year Parade and I say floated because it befits that night’s deluge. I’m surprised that dad didn’t just scuttle the whole idea when the weatherman called for a Biblical dousing. It went against dad’s grain to suffer the sort of foolishness that would have us standing in a downpour. A man who prided himself on his unflinching good judgement didn’t have enough sense to get in out of the rain. Above and below: The colors of the Chinese New Year Parade. The resulting cold that mom and I shared degenerated into bronchitis and a couple of weeks home watching daytime T.V. a fitting punishment for being loony enough to stand in a rainstorm on a cold, February night. I’ve been to the parade twice since, both times with Cora and both times with the understanding that the slightest chance of a mere drop from the sky would scrub the whole mission and have us watching the parade on TV in the dry comforts of home. One could make the case for three Chinatowns. There’s the tourist Chinatown; there’s the historical Chinatown and there’s the Chinatown of its residents – not a postcard picture or a chapter in a guidebook but a unique living and breathing community tucked into a few blocks of the city. Most visitors, and many locals see only the tourist Chinatown; the one that begins at the Dragon’s Gate at the corner of Bush Street and Grant Avenue. It runs up Grant for eight blocks. Eight blocks of t-shirt hawkers, souvenir shops and traffickers of stereotyped Asian gewgaws that all comes to an end at the strip clubs of Broadway. The blinding colors of a Grant Ave souvenir shop. That’s not to say that you shouldn’t stroll Grant Ave. The colors of the street are brilliant, every now and then you might see some lion dancers or get startled by a string of exploding firecrackers and you really don’t get the full experience without a brief embrace of the tacky. Everyone should experience a Grant Avenue souvenir shop at least once. You never know when you might need a Mao cap or a dragon chess set made of faux ivory or a Washi paper umbrella or even a happi coat. The latter two are actually Japanese but the souvenir shops make no distinction because the tourists, most of them, don’t know the difference. A lion dancer entertains on Grant Ave.
At every corner of Grant you’ll find a beautiful bright mural but it isn’t just Grant that’s adorned with murals. Look around during a walk and on nearly every street you’ll find murals; some large, some small, all beautiful. There are two other alternatives on Grant Ave and they involve the consumption of alcohol. Once the stress of finding Aunt Marge the perfect refrigerator magnet or sushi set (also Japanese but they make no distinction) gets overwhelming you can take the edge off with a visit to the Buddha Lounge or Li Po, two dive bars located on Grant. You can’t properly do Chinatown without visiting either of these two dive bars for a little drink (or depending on your shopping experience, a lotta little drinks). And the fact that you got laced at a bar that was once graced by Anthony Bourdain might delight the folks back home more than your story about walking across the Golden Gate Bridge. Have a shot of Ten High Whiskey or Fleischmann’s Vodka because a proper dive bar experience deserves cheap hootch. In fact I’m of the firm belief that anyone going into a dive bar and ordering some high brow craft spirit or an appletini should be refused service and directed to the Financial District to drink with the bankers and brokers; it’s your loss. When I was a kid Grant Avenue was the only Chinatown that I knew. We only visited to bring the relatives from Salt Lake City or to go out to dinner. The relatives did the tourist thing and spent a fair portion of their visit gawking at Asians because in 1960 you could see more Chinese on one block of Chinatown than in the entire state of Utah (629 according to the census). In those days “oriental” was the common term along with an occasional wince worthy, “Chinaman.” The former term is dicey at best these days while the latter is unquestionably taboo (unless maybe you’re the 45th President of the United States) . But it was the 60’s and at that time neither term was uncommon. After poking around in some of the shops and buying some knick knacks to quiet the kids mom and dad would whisk the relatives off to the next San Francisco destination. Our Chinatown dining experience was always at Yamato Sukiyaki – a Japanese restaurant. Dad would park the car at the Union Square garage and we’d walk the half block to Powell Street to catch the Powell Street cable car to the top of Nob Hill. Once at the top we would hop off and then onto the California Street line and down very long and very steep California Street to Yamato. California Street offers a great panorama unless you’re seeing it through the rearview mirror of a car with manual transmission. Then it’s just plain frightening. A menu from Yamato. Note the prices. Yamato’s real come on was the ambience especially for those like mom who had just finished reading the novel Shogun. Once in the restaurant we were greeted by a kimono clad hostess who would usher us to a semi-private dining room enclosed by translucent dividers called shōji. Before entering we were instructed to remove our shoes and then once inside we would seat ourselves on the floor at a chabudai, the traditional short legged table. Guests weren’t compelled to sit in the traditional kneeling fashion because the restaurant owner was savvy enough to know that serving a side order of lower back pain with his teriyaki steak might cut into repeat business. And so we sat on legless, floor level, cushioned seats complete with seat backs. Dad, being your traditional meat and potatoes guy thought the whole package was BS. Once seated it took a couple of martinis to soften the blow of having fought traffic all the way to The City so that he could slog through the two block queue to park the car and then wind up at a restaurant that had him sitting on the floor eating strange food with his shoes off. Mom thought the whole thing was just grand. Yamato, once the oldest Japanese restaurant in San Francisco is now just more SF lore. During all those years we never once ventured one short block west of Grant Avenue, over to Stockton Street or the little alleys that run in between and parallel to those two contrasting streets. This is Chinatown; the real one; the one that belongs to its residents. It’s where they gather to chat, catch up on news both local and from family back home. They worship at the Kong Chow Temple or the Chinese Methodist Church. Stockton Street and the nearby alleys house the benevolent societies, fraternities that were historically established to provide help to newly arrived immigrants needing food, shelter and employment. They provided a haven for victims of racism, racial violence and economic discrimination. Stockton Street is produce markets with displays of bamboo shoots, bok choy, bitter melon and a colorful bounty of fruits and vegetables piled high in bins and boxes underneath dangling bunches of plantains. Stockton Street is meat markets with delectables hanging in storefront windows; shimmering strips of barbecue pork, golden roasted chickens and fat dripping, mahogany hued roasted ducks. It’s puffy white buns, stuffed and corpulent with gooey pork goodness resting in huge steamers or its hefty golden moon cakes on bakery shelves. Fish markets with all manner of fish and seafood arrayed on piles of ice or swimming in crowded tanks. It’s grocery shelves crammed with canned specialties and tubs and boxes of dried goods; mushrooms, shrimp, sea cucumber and a variety of fish. Stockton Street is where you find tea merchants and shops with floor to ceiling wooden shelves full of hefty jars containing an array of medicinals. Below: Some of the bounty to be found on Stockton Street. Unlike Grant Ave. where tourists plug along like zombies, bored after four blocks of seeing the same shops with variations of cheap t-shirts already threadbare on the rack, bragging that the wearer escaped Alcatraz, Stockton Street is alive and vibrant. It’s loud and lusty with the sounds of shoppers and shopkeepers and friends, family and acquaintances carrying out both business and amusement. On Stockton Street, English is a second language; a far distant second. Get on the 30 Stockton bus and you’re more likely to hear Chinese than English. When it was my turn after waiting in the long queue at Hing Lung, a busy Chinese meat market, the counterman gave me a quizzical look when I ordered a duck and 2 pounds of barbecue pork, all of it to be chopped. He glanced at the coworker beside him who was alternating between chopping meats and handling the transactions and she translated for him. I know full well that this puts people off; that whole “This is America, speak English bit.” If you can’t stand to stand in a long line surrounded by people speaking Chinese and the guy behind the counter has to have your order translated then you should probably skip Chinatown. This is how Chinatown is; soak it in, roll with it or go to Walmart. Stockton Street is where you might hear the singular strains of the two stringed violin called an erhu; the pounding of a butcher’s knife on a big round scarred cutting board; the rumble of double parked trucks and the shouts of teamsters unloading all manner of goods. It’s all happening at once and to the newcomer it might seem grating and raucous but if you stop, look around you and listen then you realize that this is a very cool place to be. It can seem a bit gritty, as it should, and it bustles to where you have to weave in and out of the busy throngs that often spill out onto the street itself. If you want to find a plastic Buddha or a paper lantern stay on Grant. If you want to find the soul of Chinatown go to Stockton Street. I didn’t discover Stockton Street until I met Denise, my very first real love. I met her in Mr. Castillo’s Spanish class at the College of San Mateo, the local community college. We started dating and at some point we went to Chinatown. I would have directed us to Grant but Denise wasn’t interested in kitsch. Her dad was a cracker from Kentucky who smoked cigarettes in a cigarette holder and sipped Cutty Sark while alternately watching golf on TV and grousing about liberals. He’d worked for Pan American Airlines seemingly since the Wright brothers took to the sky and had been stationed in Hong Kong where Denise was raised. Denise went to Chinatown to relive Hong Kong and so she steered us straight to Stockton Street where I discovered wonderful delights like the Chinese roasted duck and char siu bao (steamed pork buns). We would often stop at a meat market to buy barbecue pork that we would eat from the butcher paper as we strolled the busy sidewalk. In the fall, during the time of the mid-autumn festival I learned about mooncakes, the weighty filled pastry adorned on top with elaborate symbols. But I’d only discovered the food. It would take years and many more visits for me to more fully appreciate the culture and history of Chinatown. A few years later, after Denise and I parted ways I was living the single life in San Francisco’s Richmond District in The City’s west end, surviving mostly on a diet of beer, Hamburger Helper, Top Ramen and when I could afford it, pizza from Georgio’s Pizzeria. I was in my mid twenties when a friend of mine, Sandy, a Korean-American told me about her new job at a bar in Chinatown. She invited me to come down and “check it out.” (This part of the story to be continued). Cora and I visit Chinatown more than any other section of the city. We walk around and see the places and things that we’ve seen dozens of times before, we stop and poke around a couple of souvenir shops and Cora might scan the display cases in one of the many jewelry shops. Dim sum is almost a requirement. The dim sum restaurants are bustling and boisterous; these aren’t places for an intimate lunch. They’re large open rooms filled with couples, friends and at the large tables generations of family from babes in arms to snowy haired great grandparents and all seem to be talking at once. The conversation pauses with the approach of one of the carts from a seemingly endless procession emerging from the kitchen. Each cart is filled with plates and bamboo steamers that hold baked, steamed or cooked delights, from spring rolls to shiny dumplings filled with shrimp to sweet sesame seed balls and egg custard tarts. The push cart ladies pause briefly at our table for us to ponder the many offerings. With almost every visit we discover something new. On our last visit we found the Hing Lung Company a meat shop located on Stockton a few doors down from Broadway. Run by two brothers, Simon and Eric Cheung who took the business over from their dad. Over the years the brothers watched and learned from the master roasters and even YouTube videos. Hing Lung is a little more expensive than others in the area but it only takes one bite of glistentening barbecue pork and the pop of the spices to convince you that an extra couple bucks is well worth it. (For more about Simon and Eric and the Hing Lung Company an article in the San Francisco Chronicle tells How two brothers reinvented their father’s meat shop in SF’s Chinatown. The last time I was there I watched the butcher carefully as he selected a duck, removed it carefully from its hanger and then slit open the abdomen letting forth a stream of duck fat into a vat. A few minutes later and he’d turned the whole duck into a container of delicious, bite sized duck fat oozing delights. Hing Lung is a small place with display cases of meats on one side and the butchers and cooked meats on the other side. The butchers, wearing aprons spattered with bits of meat and juices stand in front of big pitted cutting boards and deftly wield their big, heavy cleavers. There isn’t much room to maneuver in this little shop that’s always packed and you have to constantly make way for the steady in and out parade of customers and delivery men. I was going to title this post My Chinatown but that’s a misnomer. I, like all the other visitors just borrow it for a few hours. Chinatown isn’t for everyone as made clear by some reviews on Yelp complaining that it was dirty, or there weren’t any restrooms, and parking was too expensive (where isn’t it expensive), too many lines and people were rude. Something is clearly lost on those people. Chinatown isn’t an amusement park or a national monument. If you don’t like hearing Chinese spoken on an American street; if you don’t like being jostled on a packed sidewalk or weaving in and out of crates of vegetables sitting on the sidewalk waiting to be wheeled into a market; if you’re looking for a pristine upper crust neighborhood; if tolerance isn’t your strong suit; if you’re there to gawk at the residents as if they’re exhibits; if you aren’t open to a unique cultural experience; if you expect the people on the street to act as if they’re Disneyland cast members then maybe you’re more suited for Disneyland. Chinatown is a home, a living, breathing community that can be a historical, sensual, cultural experience. I read this piece with lot’s of joy. It made me laugh several times. I did go to SF China town when I was visiting the city, but I don’t really remember much of it. What your description, especially of Stockton street, does remind me of is my visit to China’s mainland and even more the time I spend in Hong Kong last year. The colours, noise, smell, the lifelyness of it all – I loved it. SF should be and no doubt is happy with it’s China Town. Stockton Street can be rude, noisy, has smells that you aren’t used to, is a little bit dirty but , like I said, its a very cool place to be. I almost feel sorry for the people who take offense. They don’t know what they’re missing. I love Chinatown. And the bonus is that North Beach, the Italian section is right next to Chinatown so that if you want pizza instead of dim sum its right there. That’s good in that they were never forced into a small area like that, but I think we miss the cultural immersion you have access to. Thank you for reading and commenting. As I mentioned in my post , I saw reviews of Chinatown in Yelp that maligned Chinatown. They don’t know what they’re missing. If you just go with it without judgement or ethnocentrism its a great experience. Enjoyable post, Paulie. I much prefer the ‘real’ Chinatown to the touristy one. I do too Eliza. Although I guess Grant Avenue in some respects is a real Chinatown. Separate realities? Enjoy this series very much, Paulie! Thank you for the tour.